Have you considered joining the Kawaii Kon family? If you prefer to help out and get a behind the scenes glimpse of the convention, this may be the best option for you! There are a bunch of different departments that fulfill different tasks in the convention, so there is sure to be something to interest you! It’s a great learning opportunity and a wonderful way to make life long friends, as well as help shape the convention to what you want to see. Staffers in Artist Alley help run art contests, handle silent auction bids, assist with managing and showing artwork at the live auction. Stave off impending chaos by helping with crowd control in the Dealer’s Room. Help vendors when needed, and help handle Kawaii Kon merchandise. Work with panelists and guests to keep events running smoothly. Events staffers help keep the convention on time and help answer questions from attendees and presenters alike. Assist our guests during their stay at the convention. Applicants to this department will be screened and interviewed by a director. Monitor our manga collection, keep the library organized and help maintain a relaxing environment for patrons. Take stunning photographs of the convention for historical, publication, and advertising purposes. Applicants to this department must submit a portfolio. Event photography experience preferred. 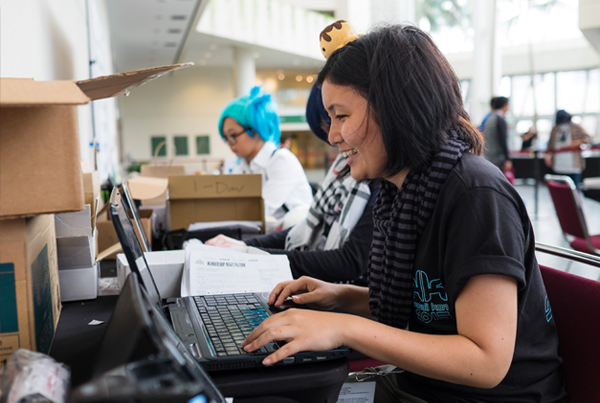 Be on the front lines to help generate, organize, sell and distribute membership badges to the attendees of Kawaii Kon. Monitor the convention for possible safety concerns. Check prop weapons to make sure they adhere to the Kawaii Kon weapon’s policy and enforce the rules set forth by the convention. Run the information booth, and help answer any and all attendee questions. Operations staffers may also be called upon to fill gaps in other departments. Run tournaments in the Table Top Gaming room, and help maintain order in the room. Work closely with Events to make sure the audio and visual requirements for panels and main events are met. Additionally, tech staffers may be called upon to help other departments with their A/V needs. Technical background is preferred but not required. 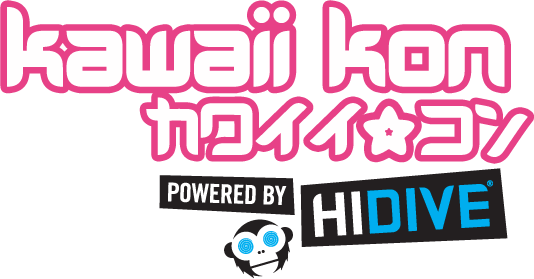 Maintain video games and equipment, assist in running tournaments, and work closely with gamers to create a memorable experience for Kawaii Kon’s gamers. Prepare equipment and media for the video rooms. Video Room Staffers help keep the Video Rooms on schedule and help contribute to content scheduled. Staffers receive a free membership to Kawaii Kon in exchange for 15 hours of staff duty. Additionally, you will receive invites to exclusive parties and get free swag. First year staffers must pay a refundable cash deposit, that will be returned to them upon completion of their hours.